Slow Cooker Mexican Pulled Pork Tacos form Emily Bites sound perfect for Cinco de Mayo or any time you need a delicious family dinner from the slow cooker! Click here to see The BEST Slow Cooker Mexican Food! (For Friday Favorites we spotlight past recipes that you may have missed, and since Cinco de Mayo is less than a week away, it seems like tacos might be a good option for next week’s menu. I think these pork tacos from Emily Bites sound delicious! If you want even more slow cooker taco options for tacos for Cinco de Mayo, check out Beef Tacos, Chicken Tacos, Pork Tacos, or 65+ Tacos Recipes. Cinco de Mayo may not be a big food holiday the way some things are, but I still want to share a few ideas for Mexican food just for those who are celebrating it. 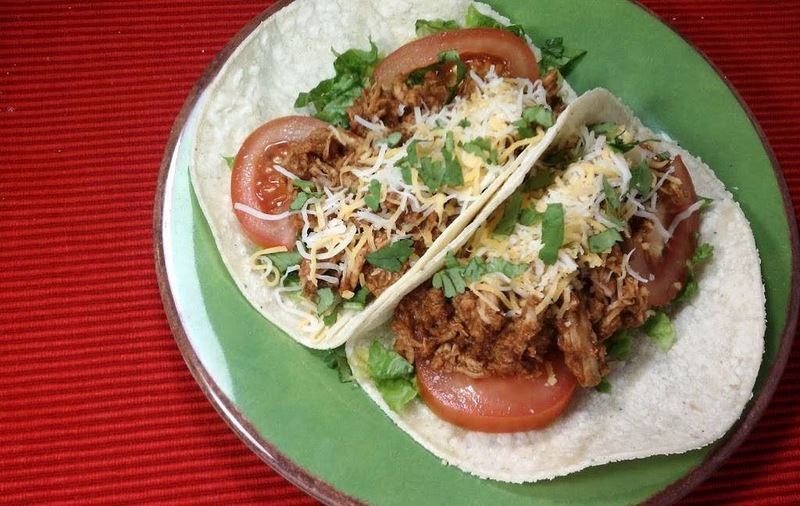 I love the sound of the seasonings for these Slow Cooker Mexican Pulled Pork Tacos from Emily Bites, and the meat can cook all day while you’re at work and you can shred it apart and assemble the tacos for a quick dinner when you get home. Emily says this recipe has almost no prep work, which makes it sound even better! Optional toppings: Guacamole, sour cream, black olives. Want More Slow Cooker Recipes with Pork? I'm not a pork person, but that sure does look good!